“Mary is part Vietnamese. Carter is a complete jerk. Normally, they don't talk much. I love the simplicity of this cover and also the way it's backlit by the sun. So pretty! 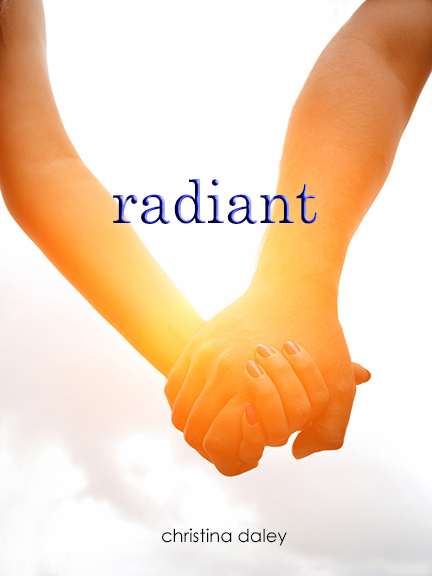 For more about Radiant check out these sites! I Like the cover, simple and pretty. I love the sound of this book! It's kind of weird and quirky, but sounds so cute! Thank you for sharing this book. Thanks so much Team PiF for the feature! And a pleasure to meet you, Julie and Angie :) Good luck to you both in the giveaway! I really like this cover and Radiant sounds great! I want to read this. Cover is very striking. I love it. The cover is simple, but powerful. You get the feeling that something strange is going to happen.